Bela: Firstly, code in a day? How does that work? We also help eliminate the emotional barrier to learning how to code by making sure the environment is one where people can ask ANY kind of question without feeling uncomfortable. By the time a group begins to code, everyone understands what code looks like – and we don’t leave anyone behind during a session so everyone is able to progress at the same pace. We’ve had some great testimonials. We’re now looking for more facilitators – these are the people who deliver the workshops. Bela: What do you look for in job-seeking candidates? We’ve just hired a guy who was a touring musician – so he’s got the creative side but he also has a PhD in maths and taught himself to code. As a facilitator, you’re performing in front of an audience in a way, so we’re looking for actor/coders I guess! Do you remember Eric Schmidt’s comments last year and the luvvy/boffin debate? Well we’re hiring a nice combination of the two – someone who can demonstrate showmanship but is a nerd at heart! Bela: What do you look for in people who want to fill any non-technical roles? Kathryn: I need people for business admin roles. These guys will be involved in setting up meetings, dealing with logistics, coordinating etc. These roles will involve wearing many hats, as you’d expect in a startup, so I’m looking for hardworkers who are willing to get stuck in! Any recent graduates who have some work experience behind them should get in touch. 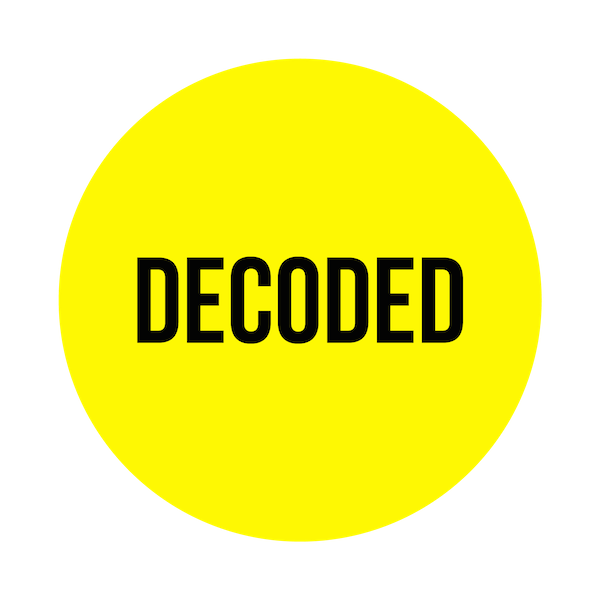 Decoded isn’t a place for candidates who are just in it for the money, but it’s exciting as employees would be much closer to the big decisions than they’d be in a larger organisation. Bela: Where do you source your recruits? Kathryn: Well, we mainly use our personal networks and go by recommendations. Steve (co-founder) is extremely well connected and uses his network, and I use mine. Ali (co-founder) did actually post an advert in the coding community. So we use a mix of traditional and non-traditional methods. Bela: What do you scour CVs for? Kathryn: I look for any evidence of passion for working in a company like ours or about teaching people how to code. It can be hard to demonstrate passion on a CV, as opposed to a cover letter, but this could be demonstrated on the summary section at the top of a CV. Candidates should absolutely tailor their CV, and keep it short. Also, the CV should cover the basics. Bela: What do you mean by the ‘basics’? Kathryn: Well we’re looking for people who have teaching experience, so if you have some – even if it’s TINY – you should mention this in your CV. Also, we need to know about any technical experience, so even if there’s only a little bit, candidates should definitely mention it. In fact, I’ve found that some of the best people out there, don’t know how GOOD they are! They are the ones who say things like ‘oh well I did this tiny thing blah blah blah’ and actually what they’ve demonstrated is exactly what we are looking for! Candidates should be honest about what they can do and then we’ll try to offer them at least 30 minutes of our time and see how things go. We try to do this as much as we can. At the moment, I am very excited at the talent that is currently out there. Bela: What do you want to see in someone who’s made it to interview stage? Kathryn: Zen! We look to see whether a candidate will fit with the team. We look for positivity and eloquence! Those who get through to the second interview then have to present to each other. So we look for the things I’ve described above…ability to teach, to simplify the complex, etc. We also put coders and non-coders together and get them to code together. Once they’ve passed this stage and been selected, they receive training to deliver the workshops! WiS: Kathryn, thank you very much for sharing your thoughts with us. Interestingly, yet another startup in this series highlighting the use of personal networks to source desirable job-seeking candidates. So perhaps a better approach to blindly sending out cvs and cover letters would be to see if you know anybody that could refer you to the startup that you are interested in. (That said, Kathryn did seem genuinely excited at the talent that’s out there so any curious, young, hardworking and ambitious recent graduates should email her on jobs@decoded.co). In addition, it would appear that your ability to fit in with a team/company is equally as important as who you know and what you know. Together, these three factors form the (cue dramatic music and deep, booming voice): Holy Triumvirate of Startup Recruitment! 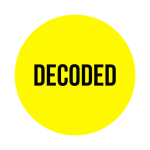 Decoded is working to get coding placed in the UK school curriculum in an effort to transform the skillset of the next generation of the workforce. Founded in January 2011 and launched in August 2011, this startup offers workshops to businesses to teach their staff how to ‘code in a day’ in an effort to give them greater confidence in their roles and ability to communicate with designer/developer colleagues. Workshops have been delivered to staff at BBH (Bartle Bogle Hegarty), Ogilvy, Omnicom, WPP, BBC, BBC Worldwide and O2. Spirit Voyage also offers variety of yoga accessories like yoga mats, yoga rugs, yoga cushions. certified. The main cause for your urinary incontinence are the weak muscles that control your urethra. For women with considerable height the tall yoga pants can provide comfort and durability. So, Long Yoga Pants are highly flexible meant for various poses and exercises. taken advantage by business oriented people as a way to reach their target clients and improve their businesses. the fish will often feed most carefully and be most hard to catch. Deegan was arrested and charged with human trafficking and drug possession after cops busted in and found the girls being held hostage. are required to do in order to receive what they are being offered. The average person, however, does not have this luxury. bacteria or microorganisms that maybe harmful to your fish. The baby boomer generation needs to understand and master the total significance of IRD, because they have accumulated significant wealth creating Taxable Estates. promoter for your own interest. down or stops hair growth and produces weaker, shorter hair. To achieve the best results, become more proactive with the appropriate professional services and products for your specific condition, have a hair care analysis performed and get a personalized consultation. blood circulation to the scalp. fast reply ), you can contact us at the web page.